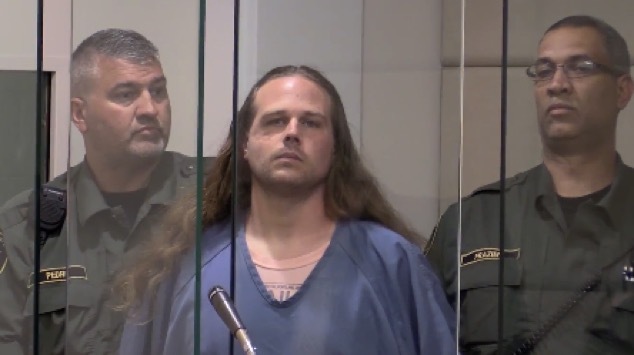 On Friday, May 26, two men were brutally stabbed to death on a MAX train in Portland when they tried to intervene in a hate speech attack. It took less than 48 hours before those murders became the focus of the perpetual political maelstrom that has consumed the left since the end of the Democratic primary last spring. The killer was a man named Jeremy Christian. Over the last five years, Christian made multiple references to his support for the Nazis and their program of explicit genocide— the most horrifically successful example of the extreme right wing of world politics in history. We know this from his public Facebook account. We also know that for a short time in 2016 Christian had posted on his Facebook that he was a Bernie Sanders supporter—though that support for Sanders seemed more rooted in his hatred for Hillary Clinton than in any substantive support for the Senator from Vermont. Certain elements of the Clinton-allied wing of the Democratic Party seized on this as proof of a direct connection from Sanders to white supremacist violence, despite there being no evidence at all that Christian’s few months of support for the Vermont Senator had anything to do with his vicious attack. In an act almost perfectly designed to drive this point home, the killer let loose with a rant that could probably be best described as a reading from the Book of Breitbart Comment, 14:88, when he appeared in court on Tuesday. “Death to Antifa!” Christian shouted at the crowd in the courtroom. Not exactly the stuff you’d expect to hear from the Sanders wing of the Democratic Party— though hostility to the anti-fascist movement is a staple of the hashtag resistance Clintonian centrist (suggesting a connection would, of course, be obscene). Yet the story of Christian being a part of the Sanders movement has nevertheless found purchase in certain corners of the commentariat. It’s an attractive explanation for the murders because it fills certain political needs—for Clinton supporters, it reifies their long held belief that Sanders’ supporters were a thinly veiled racist and misogynistic bloc; for the alt-right, it allows them to tie the killer to a political enemy and sow division between their enemies. The latter are playing the former for fools. To concentrate on one single, fleeting aspect of his political beliefs necessarily ignores years and years of public social media posts in which Christian is quite vocal about his support for white nationalism and the ideology of the extreme right wing. Yes, Jeremy Christian did profess temporary support for Bernie Sanders in the Democratic primary a year ago. For someone like Christian, supporting Sanders was not inconsistent with his longtime appreciation for the Nazis and his hatred of Jews. Indeed, the fact that Sanders was Jewish seems not to have even crossed the mind of the man who appreciatively shared Holocaust themed memes in 2012. This kind of self deception in politics is becoming commonplace. And it’s not the unique province of someone like Christian—that same impulse motivates those seeking to blame the attacks on Sanders and everyone in between. Liberals have descended into unfounded and unproven conspiracy theories about Russia as a way to explain the election. Right wing conspiracy theories have rewritten the Republican Party into the party of Donald Trump. Supporters of Bernie Sanders thought for months last year that the senator had a chance to defeat Hillary Clinton in the primary. Confronting political reality through elaborate fantasies can seem the only way to feel powerful over a system that leaves us powerless. A rewriting of reality explains “the way things are” in a manner consistent with the world the dispossessed want to live in—no matter how far out of reach or incompatible with the facts that world might be. It’s when those dreams crash against the rocks on the shores of the reality of American politics that the fantasies begin to be acted upon—and in the case of the murders in Portland, for the worse. Continuing to promote a self deceptive vision of events that excuses the violence of Jeremy Christian, as the Clintonian center is trying to do, will only continue this problem by refusing to confront what is real and what is fantasy.